In this comprehensive volume, research-based chapters examine the experiences that have shaped college life for Black undergraduate women, and invite readers to grapple with the current myths and definitions that are shaping the discourses surrounding them. Chapter authors ask valuable questions that are critical for advancing the participation and success of Black women in higher education settings and also provide actionable recommendations to enhance their educational success. Perspectives about Black undergraduate women from various facets of the higher education spectrum are included, sharing their experiences in academic and social settings, issues of identity, intersectionality, and the services and support systems that contribute to their success in college, and beyond. 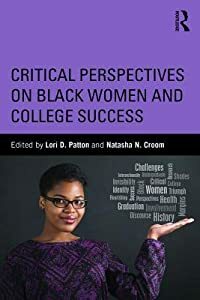 Presenting comprehensive, theoretically grounded, and thought-provoking scholarship, Critical Perspectives on Black Women and College Success is a definitive resource for scholarship and research on Black undergraduate women.